If you're in the market for a luxury sedan, the 2017 Lexus ES 300H may be right for you. This hybrid vehicle offers a comfortable and quiet ride. It also offers great fuel economy and a luxurious style. There are a few cons with the model, but the pros largely outweigh these. In previous years, the Lexus Safety System and safety-Features Suite was optional. They now come standard on all models. The Display Audio System has now added the Scout GPS Link. Other than these modest changes, the 2017 Lexus ES 300H remains largely the same as the 2016 version. The Lexus provides for a very comfortable ride. The cabin is spacious and provides plenty of head room. The rear seats can comfortably seat average-sized adults. The back seats have plenty of leg room even when the passenger and driver seats are pushed back a fair distance. The interior has a modern-luxury styling that is sure to please drivers. Lexus uses the finest materials and gives you plenty of options. You can choose from different luxury materials, such as bamboo and leather, to achieve the perfect look. The stitching, fit and finish are pure perfection on this vehicle. The 2017 Lexus ES 300H is a hybrid that combines and electric motor with 2.5 liter, 4-cylinder engine. This setup gets an estimated 40 mpg while city driving and 39 mpg on the highway. This puts the Lexus among the top performers in the luxury-sedan category. A lack of power is often an issue for fuel-efficient vehicles. This is not the case with the 2017 Lexus ES 300H. The hybrid, combo engine puts out a respectable 200 horse power with plenty of torque. The Lexus can reach 60 mph in around 7.8 seconds. The 2017 Lexus ES 300H comes with a number of excellent safety features on all models. Even more can be chosen for more expensive trims and packages. All models have warnings for lane departure and forward collisions. There is a rear-view camera for better rear vision. The Lexas Safety System provides an emergency-assist button, stolen-vehicle locator and an automatic crash notification. Adding options to a vehicle can quickly increase its cost. Fortunately, the 2017 Lexus ES 300H comes with a great amount of standard features. Keyless entry and ignition is now a standard feature. Heated mirrors and dual-zone climate control are also on every model. Eight-way power controls for the front seats is also a standard feature. Drivers can select different driving modes with the push of a button. Each mode provides for a unique driving experience with different pros and cons. You can select the sport mode to get the best performance from your Lexus. Eco and all-electric modes offer better fuel economy and are more environment friendly. You can control the navigation system with voice commands. This is a nice feature that allows you to keep your hands on the wheel. The Siri Eyes Free system is also included and can connect to your iPhone for even more voice-command functionality. 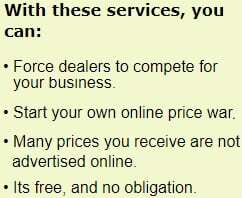 This application is subscription free and included for all trim packages. It allows you to sync with your smartphone to access your favorite apps and music playlists. All trim packages get a top-of-the-line sound system from Lexus. The Mark Levinson system features 836 watts of power into 15, high-quality speakers. CD players are standard and feature USB connectivity and an auxiliary input. Satellite and HD radio are also available. While the ride quality is far from bad, it isn't as smooth as some competing models. This is likely due to the low-roll-resistance tires. They help the fuel economy, but do not soak up as much of the bumps as they should. The infotainment system is nice, but the interface is not user-friendly. The control scheme is impractical and non-intuitive. The battery that powers the electric motor makes for less trunk space. The 2017 Lexus ES 300H has just a bit over 12 cubic feat of storage area in the trunk. If you need to transport a lot of groceries or other items, they may need to be placed in the back seat. Lincoln's MK Hybrid is decent alternative to the 2017 Lexus ES 300H. It has comparable fuel economy, but a lot less luxury and inferior craftsmanship. It is priced lower, so if cost and fuel economy are priorities, it may be a good choice. If you prefer power and performance over fuel economy and comfort, you might consider the Infiniti Q50 Hybrid. It gets almost double the horse power by combining a V-6 with an electric motor. The interior is smaller and less comfortable than the Lexus and the fuel economy isn't as impressive. Other competitive models include the Toyota Avalon Hybrid and the BMW 330e. Both offer decent value for your money. Overall, the 2017 Lexus ES 300H provides more interior space, comfort and luxury than the competition. The 2017 Lexus ES 300H is a great sedan with loads of style and luxury. It has one of the best fuel-economy ratings in its class. It is also very reasonably priced when compared to the competition. The quality of construction and safety features make it a reliable and safe vehicle. It is highly recommended to anyone looking for a hybrid sedan. • Why buy a 2014 Lexus ES? w/ pros vs cons. 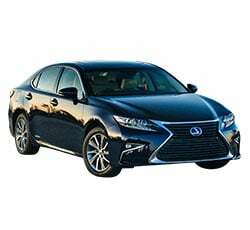 • Why buy a 2015 Lexus ES? w/ pros vs cons.